2 Peter 3:8-9 – But do not forget this one thing, dear friends: With the Lord a day is like a thousand years, and a thousand years are like a day. The Lord is not slow in keeping his promise, as some understand slowness. Instead, he is patient with you, not wanting anyone to perish, but everyone to come to repentance. Clearly the Lord and I do not understand time in the same way. This verse even says so. It says, “With the Lord a day is like a thousand years, and a thousand years are like a day.” This concept is so big for my mind to even fathom. What I do know, is that my Lord doesn’t always do things on my time. I can sometimes find that frustrating. I may want a burden of mine (or a loved one) lifted, but I want it to happen now. It hardly ever happens right when I ask for it. Sometimes it happens quickly other times it’s hard for me to even recognize the answer to my prayers, no matter when they’re answered. God isn’t being slow, as you and I think of slowness. God isn’t dragging His heals, He’s waiting for perfect timing. Timing that has our best interest at heart. His timing may not be what we think is perfect timing, but He has the perspective of actually understanding eternity. For Him, it’s all about Eternity. If waiting helps you or someone else come to faith, deepen their faith or acknowledge the Lord, than God will likely wait. He is patient, waiting for the perfect moment that will help draw us closer to Him. Forbearance: a refraining from the enforcement of something (as a debt, right, or obligation) that is due. I had to look that up three times for it to stick in my memory. God is all about forbearance, isn’t He. Everything He has done was to help us escape the punishment we deserved. My mom seemed to understand that about our God. When my sister and I were in college, and my mom was sure we were making some stupid decisions, she would pray that we would not have the full consequences of our sins. She was asking the Lord for patience, forbearance and grace. That is what Jesus on the cross is all about, as well. Jesus died on the cross so we could benefit from God’s forbearance for us. He took on the enforcement of our punishment. With this definition of patience, I feel like Jesus could be the synonym for patience. 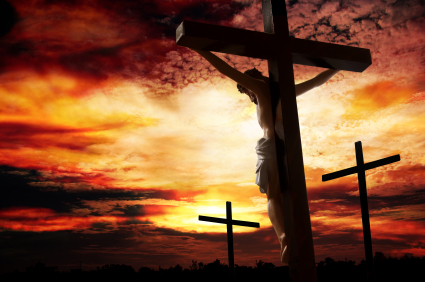 Our Lord Jesus took on our sins, took the full punishment, even unto death. He went through so many pains and trials, and didn’t complain, but calmly took it upon Himself so you and I might be freed from our sins. Instead he is patient with you, not wanting anyone to perish, but everyone to come to repentance. Everything God does is with the intent of drawing us closer to Him. He wants everyone to come to repentance and to have faith in Him so that they will not perish but have eternal life that only comes through Jesus Christ. He is patient with you. As you learn and grow in Him, He knows you’re going to stumble and fall, but He stays by your side so that when you reach out, He’s right there to catch you. Oh how it pains Him when we ignore Him, or deny Him or sin against Him, but He is patient with us as we grow through His Holy Spirit and learn to cling to Him each day. Sin stands between us and the Lord. It makes us want to deny Him, pull away from Him and ignore Him all together. But God, who loves you and I more than we can ever imagine, doesn’t want that for us. He wants us to live eternally with Him, and that’s why, even though we fail over and over again, He is patient. He loves you too much not to be.